Thank you for choosing Shear Grace Salon & Spa, Alabaster's best hair salon. With our strong team of amazing stylists and beauty experts, we proudly offer a wide array of services to pamper our guests. Whether you're visiting for a precision cut and color, hair texture treatment, or hair removal, our staff will make your beauty our top priority. Salon and Spa Services & Pricing- Top prices in Alabaster, AL. Our Alabaster hair salon's talented team of stylists offer exceptional cuts for men, women, and children, blowouts, updos for special occasions, weddings, and more! 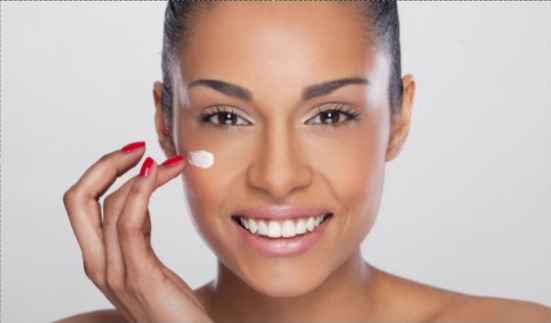 Whether you're visiting for an express facial, glycolic peel, or microdermabrasion, our facial experts will bring new life to your tired skin. Our talented team of stylists and make-up artists can accentuate your personal style and enhance your best features. Schedule your appointment today and enhance your beauty. Tame your unruly hair with an amazing Keratin Complex smoothing treatment, or add flowing length with beautiful hair extensions. I became a cosmetologist to make people look and feel beautiful inside and out. The beauty industry is something I have always been passionate about. I enjoy learning all that I can and growing my skills every day. I have been in this industry for 20 years and developed a foundation in hair and beauty at Lecroy Career Tech School while pursuing my high school education. In completing the three-year course in only two years enabled me to get out there and build my career. I have worked hard to build a career with high standards that ensure that my clients are pleased with their new look as much as I am. My passion to teach and share all I know with others, and that passion drives me to all do my best and never stop learning. This 20-year journey has taught me that quality of life is far better the quantity. I also learned that when you are passionate about quality you achieve quantity. I am proud that I can do what I love every day and to be a part of so many lives. I have always been passionate about the beauty industry and enjoy making others feel beautiful. When someone else can see their beauty because something I have done, then my day is complete. I enjoy helping others see their full potential. I have been in the hair industry for 9 years and achieve my education from Paul Mitchell the School of Birmingham. I have lived in Alabama my whole life and enjoy getting to know new people. I look forward to learning something new every day. Learning the new trends, fashion, and styles is very important to me. My name is Yolanda Harrell and I have been doing hair since 1989, which is the year I received my license in cosmetology. I have been married for 25 years to my husband Marvin and have 3 beautiful boys. My vision as a stylist is to see women have beautiful healthy hair with less stress and worry free hairstyles. I value their time and the condition of the hair. Signature hairstyles is me and my dream is to help others find theirs. Tanisa is a licensed cosmetology educator and multi-cultural stylist that specializes in all things “Healthy Hair”. Hair is like a plant, when it is nurtured properly it will flourish. Tanisa believes that hair is hair regardless of nationality, product knowledge is an important factor in styling multiple cultures. Educating each Client is her GOAL. 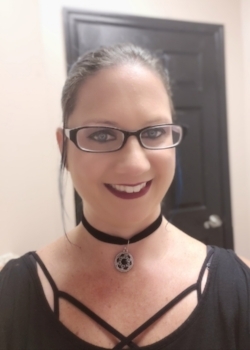 Sharon Reeds is a graduate from the University of Montevallo and a graduate from Gadsden State Community College in Esthetics. Sharon has a passion for Christ and serving others. Sharon considers it a blessing and an honor to have found careers serving others and Jesus at the same time. Sharon has worked as a managing Esthetician for over 15 years and a professional makeup artist for 25 years. She delights in helping people feel good about their skin and to help them put their best face forward. As an Artist and Esthetician she’s had the privilege to work with many prestigious cosmetic companies, Salons and Spas. She has been a Freelance Regional Artist/Esthetician for Sisley, Christian Dior, Borghese, Bobbie Brown Global events in Birmingham and Atlanta and MAC cosmetics to name a few. Her work has appeared in the Birmingham News and Birmingham Magazine. She is known as the “Brow Guru” for her fabulous brow shaping, which was featured in the Birmingham Magazine titled “Frame YourFace”. Salon & Spa Location in Alabaster, Al. Your hair can't wait any longer.